With smallcases, you have full flexibility over your investments. 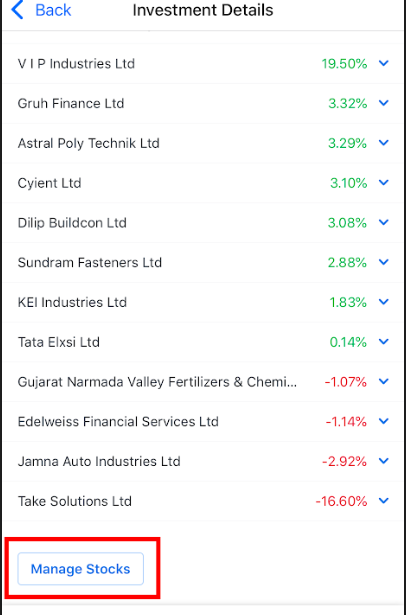 You can manage your smallcase by adding/removing stocks or adjusting quantities, in a few taps. 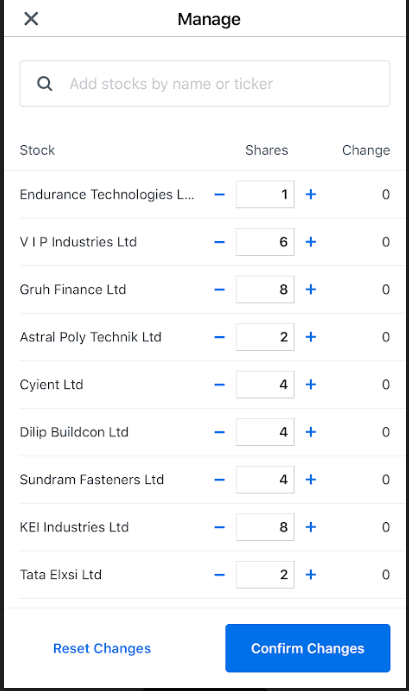 On the manage screen, tap on the 'Add a stock' option to add a new stock and increase the no. of shares to the desired quantity. In order to sell a stock completely, reduce the Quantity to 0, so that all the shares of the stock will be sold. If you wish to sell some shares of a stock only, reduce the qty to the no. of shares you would like to retain. The remaining would be sold.